Pope Francis addresses a crowd at the Vatican. Photo courtesy of the New York Daily News. 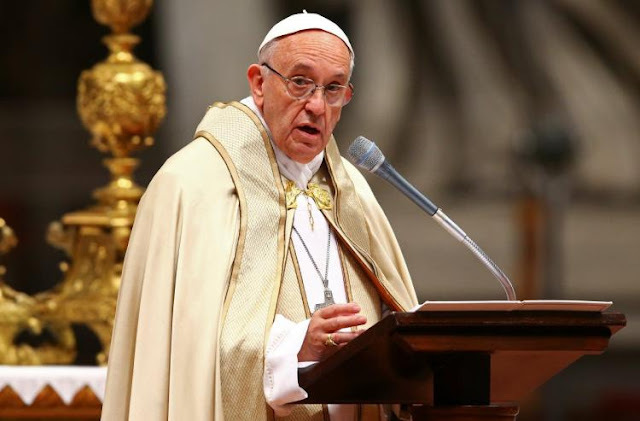 As the Catholic Year of Jubilee closed on November 20th, Pope Francis, yet again, challenged the traditional standards and tenets of the Church with an apostolic letter detailing his decision to allow priests to hear confessions from women who've undergone abortions. Since his undertaking of the role of Pope in 2013, Pope Francis has taken what many would call quite progressive steps in the Catholic faith, such as setting in motion a high-octane debate between traditionalists and moderates within the Church's leadership structure concerning divorced individuals and their acceptance in the Church, and outwardly acknowledging and pushing for discussion over the international issue of climate change. According to church doctrine, abortion results in automatic excommunication of the woman and any other individuals involved. In the Pope's letter, he emphasizes mercy for this action and suggests confession for the sin. Many American bishops had already granted priests in their dioceses the ability to forgive women for undergoing an abortion procedure, but around the world, this calling has the potential to change countless lives. Many countries with Catholicism as their national religion outlaw or hold extremely tight legislation regarding legislation, such as that of Paraguay wherein a potential mother can only receive an abortion if their life is at risk. Especially in Catholic-heavy nations such as Poland, where September protests against harsher anti-abortion legislation rocked the nation, this letter could be just the support activists and common individuals alike need, in order to make their case, to the government body that could change their life forever.